Today I was asked how to reorder sheets from within a Google Spreadsheet. Google Spreadsheets is one of my favorite collaboration tools. It provides the capabilities for assigning different sheets to individual students or a collaborative group. Sheets can become out of order when collaborators use one spreadsheet. No worries! It is easy to drag the sheet into an alpha or numerical order. Just click down on the sheets tab and drag to the right or left to reorder sheets. In Google Drive, there is a setting called Quick Access. This setting provides quick access to frequently used files. It is one of those personal timesaving features. Thanks to quick access teachers and students will have up to four regularly used files right under their fingertips. Recently a teacher came to the Google Docs Help Forums to learn how to turn Google Forms Assessments off. The teacher was afraid students would copy the Assessment’s URL to share with friends. I was glad when Lance a Google Doc’s Product Expert friend reached out to me for help. The teacher learned two simple steps for maintaining assessment confidentiality. 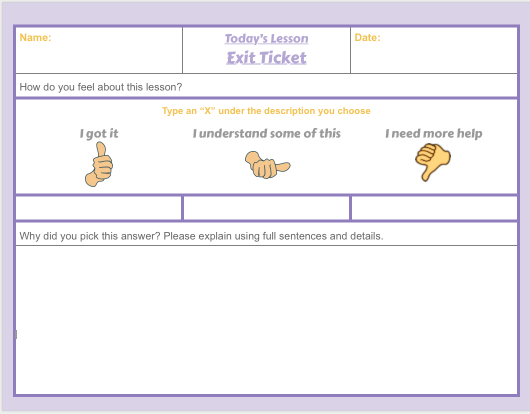 Making a Copy allows the user to make a blank question bank template to be used for future assessments. Allows teachers to easily share individual forms with each class. Copies provide more control for turning an assessment on & off. If Student was absent teacher may turn the assessment on.